Bend Your Brain: 151 Puzzles, Tips, and Tricks to Blow (and Grow) Your Mind has a few questions for you: Want to get your frontal lobe breaking a sweat? Make your blood pump to your cerebellum? Stretch your occipital lobe to its limits? If you’re as interested in mental fitness and brain health as I am, you’ll answer this question with a question of your own: How soon can we begin?! Fortunately, you can begin the second you get your hands on this outstanding book. 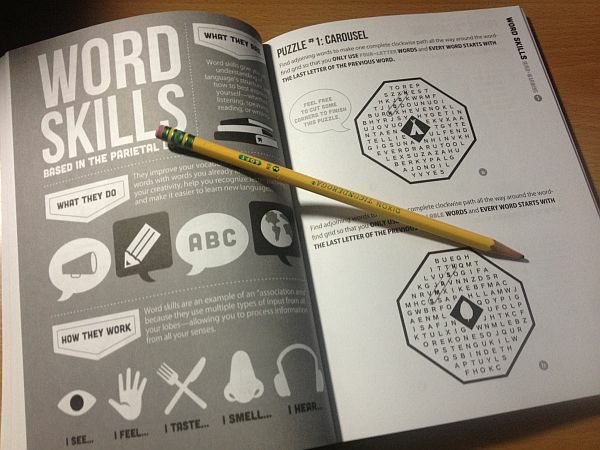 Bend Your Brain: 151 Puzzles, Tips, and Tricks to Blow (and Grow) Your Mind is actually more than a book, if we’re being honest here. It’s more of a workout program for the part of our body that is probably taken more for granted than any other part. Which is perfectly ridiculous when you consider that it runs the whole shebang. Then you need to bend your brain! This first book from the team behind Marbles: The Brain Store, a chain devoted to building better brains, offers puzzles and brain teasers to help enhance memory, build problem-solving skills, and reduce stress. Since Marbles started helping people play their way to a healthier brain, they’ve sold, solved, and been stumped by more than their fair share of puzzles. Along the way, they’ve learned which puzzles tie people in knots (not in a good way) and which ones make the neurons downright giddy. With the help of their in-house team of BrainCoaches and access to cutting-edge neuroscience, they’ve designed these puzzles to keep your mind flexible and fit. · Connecting the dots? More like working your spatial-orientation skills. · Identifying famous smiles? Flexing your visual memory. · Taking a closer look at your keyboard? Coding, storing, and retrieving. · Word-doku? Summoning cognitive abilities like appraisal, inference, impulse control, and evaluation. 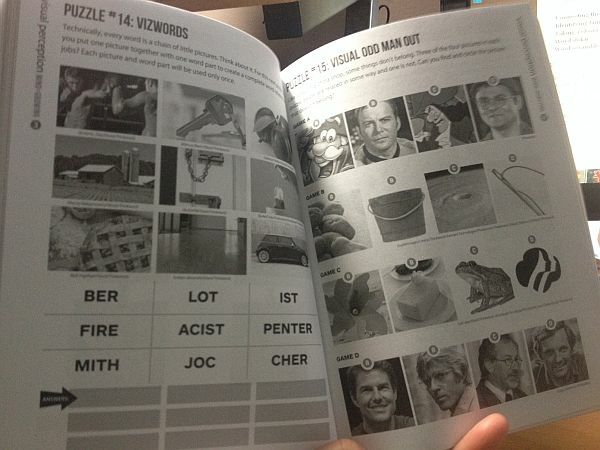 · Word scrambles? Tapping your brain’s association areas. Well, you get the idea. We’re talking about experts in their chosen field. MARBLES: THE BRAIN STORE is in malls across the country. They’ve been featured in Good Housekeeping, Real Simple, USA Today, and Wired, as well as on the Today show and Martha Stewart Living. Like I said… experts. While the book is flexible, the cover is made of a very sturdy material – it isn’t the type of “romance novel” paper covers that dog-ear or tear. It’s ideal for curling up in a comfy chair with a pencil and a hot Chai Tea Latte as you treat your mind to a FUN and STIMULATING workout. I’m, perhaps, more familiar with brain games and brain puzzles than the average person. Another one of my blogs (“Out of Bounds“) involves mental fitness and brain health. While doing research for the articles on “Out of Bounds,” I’ve bought and used countless books with “brain stimulating” puzzles. Frankly, there are quite a few on the market that are outstanding. However, the puzzles throughout Bend Your Brain: 151 Puzzles, Tips, and Tricks to Blow (and Grow) Your Mind are different from other puzzles I’ve seen in other books. 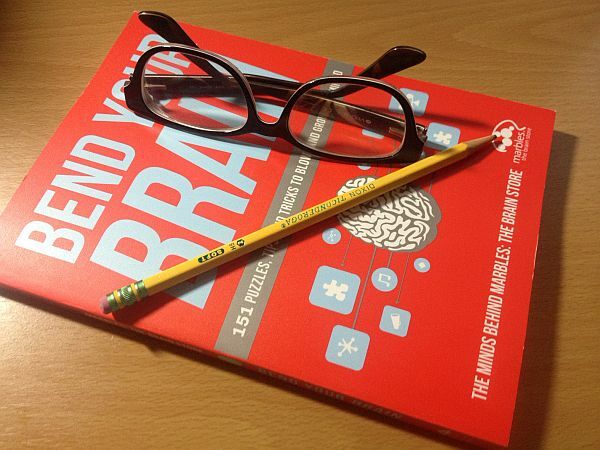 Bend Your Brain does a much better job of letting you know WHY you need each type of puzzle. I also love the fact that the puzzles address the five key brain categories (visual perception, word skills, critical thinking, coordination, and memory). What good would it be to focus on just one or two?!?! If I were to recommend one book for the individual who is interested in protecting and strengthening their mind, this would be the book. The puzzles are a PERFECT blend of challenging, very challenging, and OMG challenging. What’s more, they’re a lot of fun! 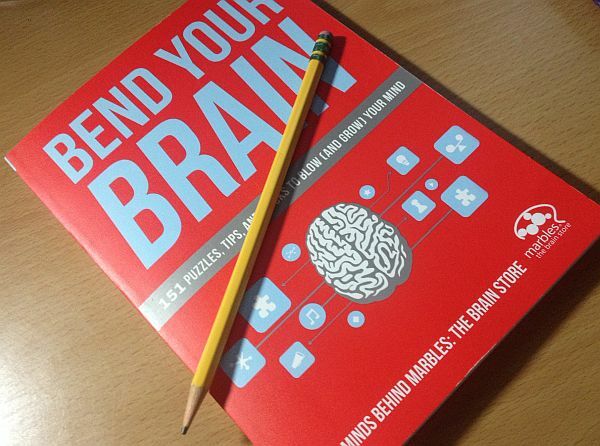 If you’re looking to strengthen your mind and memory, increase self-confidence, and even improve your problem-solving skills, Bend Your Brain shouldn’t just be the next book you buy… it has to be the next book you buy. Click through and learn more about Bend Your Brain: 151 Puzzles, Tips, and Tricks to Blow (and Grow) Your Mind. Trust me, this is one you and your brain are going to love. Excellent Post. I have got much idea about minds store. It’s really wonderful experience after reading your article. I’ve shared it with my friends too. I love this article. Thanks!